In the process of renewing the Ircam Forum website, we — Ircam Research/Creation Interfaces and Web departments — are setting up a unified Ircam authentication server. The authentication server should be able to handle signup, login and basic profile edition for all the Ircam applications, should they be browser-based or not. We chose OAuth2 for its thorough testing, approved production results and the already available software integrations in a lot of languages and frameworks. It’s the best bet for the future. As most of Ircam websites are based on the Python Django framework and for its simplicity, we also chose Django for hosting the OAuth2 server. 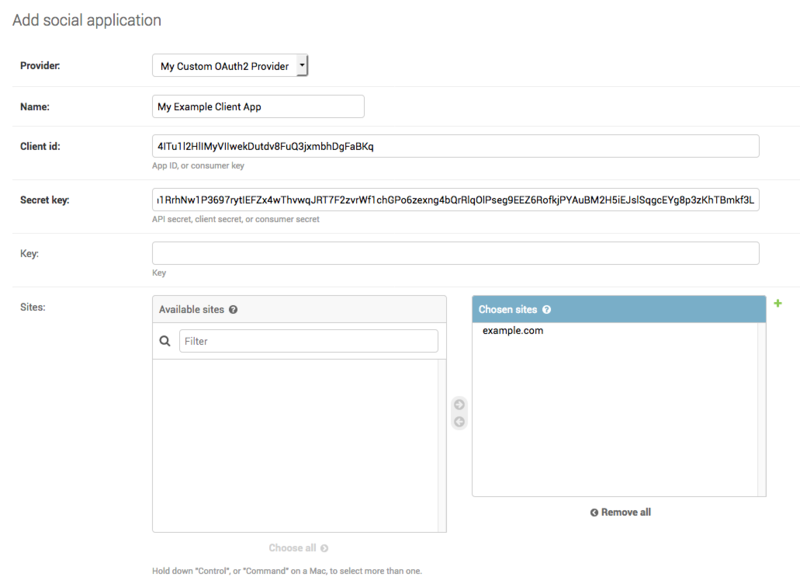 … using django-allauth for the client and django-oauth-toolkit for the server. You can find the example stack in the form of a Docker composition on GitHub. You can launch the demo in no time with Docker, or serve each app individually the Django way. 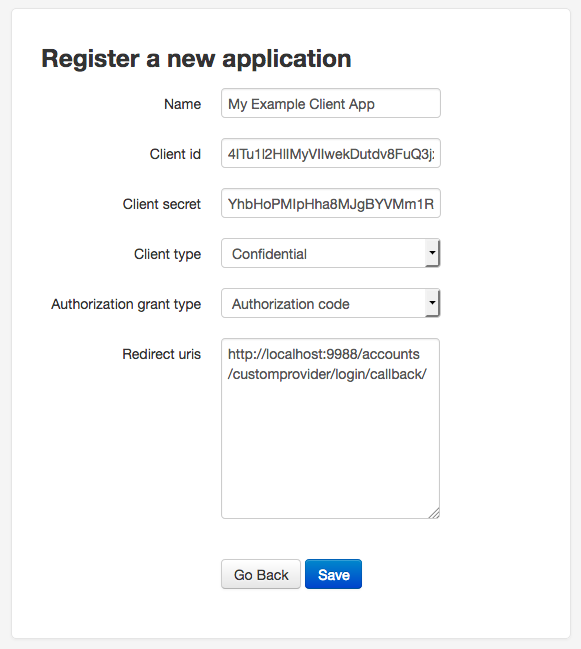 Then jump to Registering the client application to allow the client app to connect to the OAuth2 server and try it live. Please see the official django-oauth-toolkit documentation for further informations. # Important: first position ! # also setting its own `sessionid` cookie. Do not forget to initialize the database with docker-compose up -d && docker-compose exec server python manage.py migrate or python manage.py migrate if you’re not using the Docker example. Then, create a superuser with docker-compose up -d && docker-compose exec server python manage.py createsuperuser or just python manage.py createsuperuser. Please see the official django-allauth documentation for further informations. Do not forget to initialize the database with docker-compose up -d && docker-compose exec client python manage.py migrate or python manage.py migrate if you’re not using the Docker example. Then, create a superuser with docker-compose up -d && docker-compose exec client python manage.py createsuperuser or just python manage.py createsuperuser. Also create a regular user to test the login with at http://localhost:9988/admin/auth/user/add/. It could otherwise work with your superuser account, but in case you used the same admin username in the server and the client, the client will tell you the username is already taken. Like you’re supposed to do when using any OAuth2 provider — be it Facebook or Github, you must tell the server which application is allowed to use the OAuth2 authentication. For that, go to http://localhost:9977/o/applications/register/ (the server), log in as the superuser you created and fill in the name, client type (Confidential), authorization grant type (Authorization code) and redirect URI (http://localhost:9988/accounts/customprovider/login/callback/). Now, we must tell our client Django application what are its credentials to be allowed to use the server as an authentication backend. For that, go on http://localhost:9988/admin/socialaccount/socialapp/add/ and fill in the form with the informations we just got. Don’t forget to select our custom provider in the Provider field. At this point, the server will allow our client app to request whatever it needs to authenticate its users against its database. Let’s try it! Launch the containers with docker-compose up -d if not already done, or run the servers if not using the Docker example with python manage.py runserver 0.0.0.0:XXXX (replacing XXXX with 9988 for client and 9977 for server). Then go to http://localhost:9988/accounts/profile, click Login and follow the steps! Perform your login tests in a private navigation window (a.k.a Incognito mode) to dismiss all the cookies that have been set while using the Django admin on each app — or at least be sure you’re logged out.